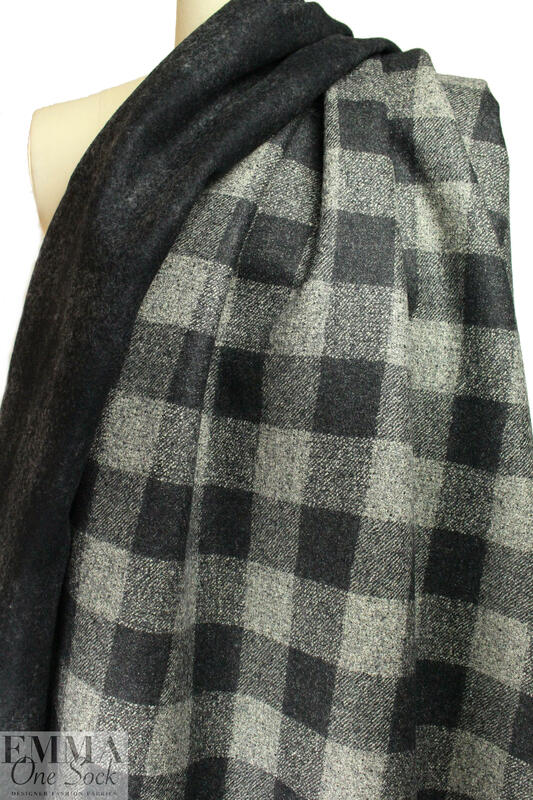 This is a wonderful Italian doubleface coating (not doubleCLOTH---the layers don't separate) has a casual chic look that is modern and versatile. 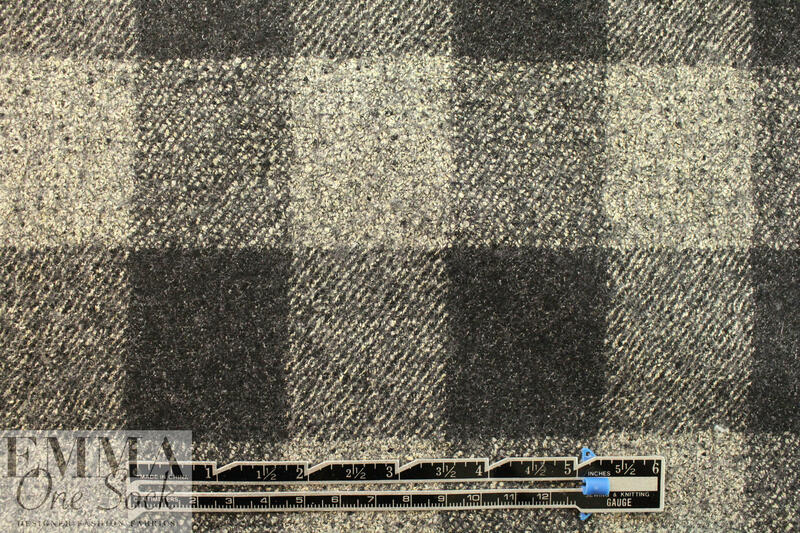 It has a tweedy yarn-dyed plaid design on the face (4.375" v. repeat, 3.625" h. repeat) with a mix of dark charcoal, light gray and stone. 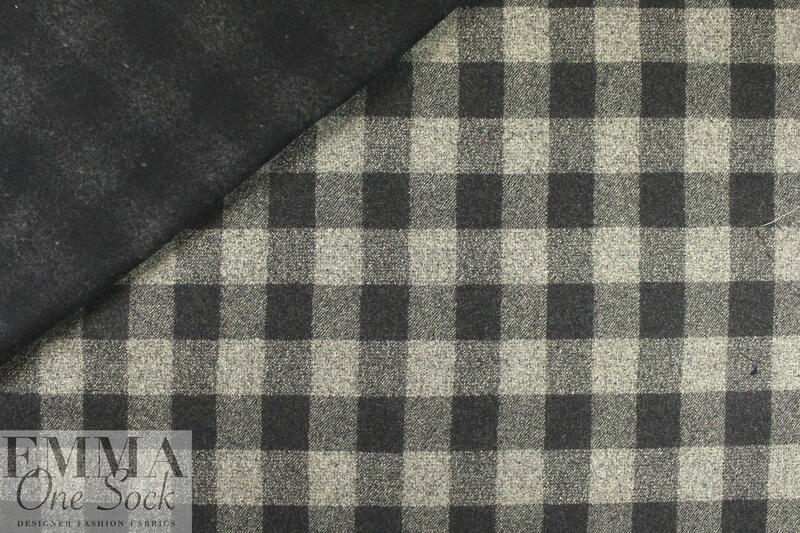 The reverse is a solid dark charcoal (or off-black), that would make a beautiful contrast fabric to the plaid. 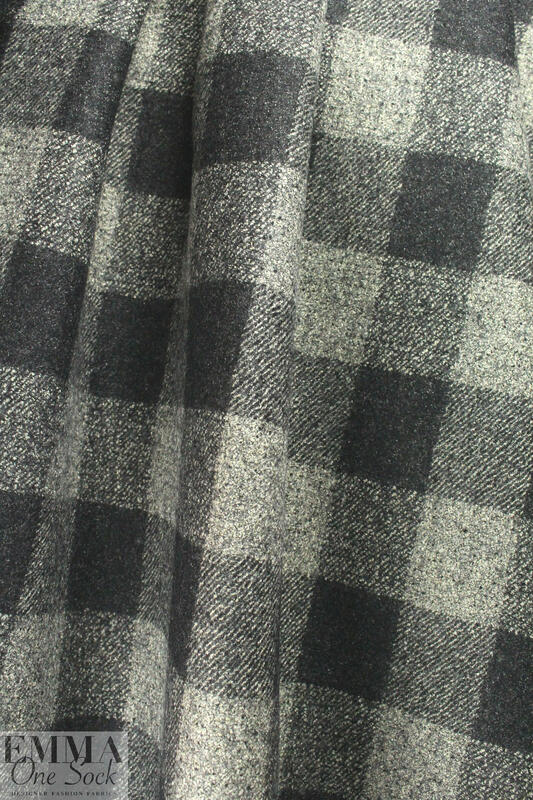 It is medium weight and opaque with some body in the drape, is perfect for a tailored jacket or coat, cape or winter vest. It has a "wooly" yet soft surface texture and the quality is excellent. Dry clean only.